Google offers a wide range of resources that businesses and organizations of all sizes and types can harness to carry out their mission as well as achieve their goals and objectives. Whether they are aware of these Google resources and whether they have the technical talent on hand to take advantage of them is another matter. Many of these resources are free and/or low cost, the real cost involves the application and usage of the resources through the technical know how. Before we offer you insights concerning how your organization or business can harness the power of Google, we need to present a short list of these resources to give you an idea what we are talking about. By no means does this list seek to cover all of these resources. Google My Business – If you are a business and/or organization that services a smaller geographic area, then this is a mandatory resource you have to use. In the most simplest terms, Google My Business, or GMB, allows you to inject into the Google ecosystem your organizations vital statistics such as its name, address, operating hours, website address and more. Along with this you are given free of charge by Google an account through which you can claim, verify and then optimize your Google Maps and Google “Pack” listing. These two listings are the easiest ways for your organization to be found through Google Maps and Google search. Do NOT ignore this. Google Apps for Work is inexpensive starting at $5 per user per month and is also available in a version made for education. Google Adwords – This is Google’s flagship advertising program through which you can connect with your audiences (customers), drive traffic to your website, increase brand awareness and more. In general, Adwords can be used to generate new and additional revenue for your organization. Google Analytics – If you are looking for in-depth analysis of what is happening on your website and where the visitors came from, Google Analytics is the tool to use. In addition analytics can be used for measuring elements of the Internet of Things, mobile apps and more. YouTube – Is the world’s largest Video destination as well as the 2nd largest search engine in the world. Use YouTube to feature your video content on your own channel which your customers can then reference, curate content on your channel to provide additional resources for your audiences, reach your audience through advertising, and more. Google Maps – Google maps is more than just finding locations. Google Maps also can be used for inside buildings, inventorying locations, combining 360 degree photos of locations into Photosphere Constellations and more. Google Business Views – Allows a photographic detailed peek inside your business or organizations. This ties into Google Maps and Google Search raising your business’s or organization’s visibility when someone searches for what you provide. Google For Entrepreneurs – Google offers a wide range of resources for Entrepreneurs and Start-ups. These can include campuses, mentoring, education on how to use Google resources and more. Industry Specific Application Of Resources – For more industry specific examples, Google provides Think With Google Industry Guide which covers fields ranging from advertising to tourism and travel. Determining which of these resources to begin with can be confusing and overwhelming. As such we first suggest you examine how your organization or business currently operates. For example, what are your pain points, were are you trying to operate more efficiently, etc… Then have a competitive – industry analysis done concerning how other businesses or organizations similar to yours are benefiting from these Google resources. 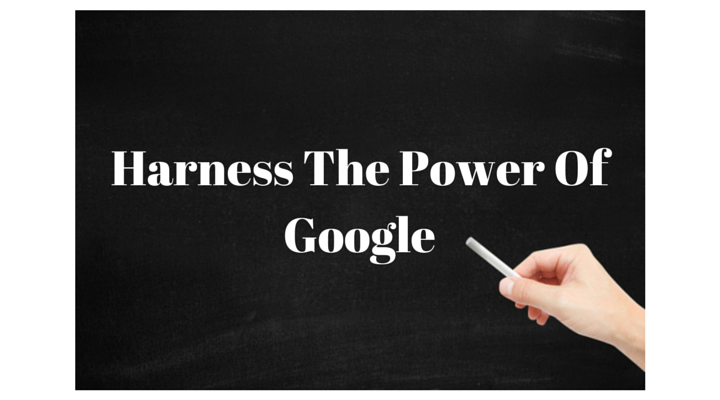 The goal is to find an alignment between your needs and the resources Google offers. You can of course try to determine which Google resources would most benefit your business or organization or, you can seek help with this process. As such, we can offer you a needs to resource assessment. The assessment will examine your pain points and current operating methods, then examine your competitors and industry to discover how Google resources are being leveraged to improve their operations. Contact us today concerning how your business or organizations can start leveraging Google to your advantage.